Well, it's officially shoe transition season. Welcome to August ladies. While it is still quite warm (this month is reportedly supposed to be the hottest month of the year), it's fall shoe shopping time. If you're not quite ready to shop for fall, you are free to look. 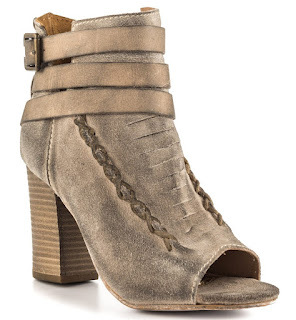 One style on our list is the Diba In The Books Peep-toe Bootie. 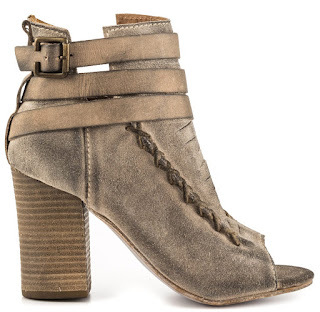 This cool peep toe bootie features a grey distressed leather, wraparound straps, side cutouts, horizontal front slits, tonal, raised side stitching, and of course a peep-toe. The fall staple, a 3 1/2" stacked, block heel tops off this season transition bootie. 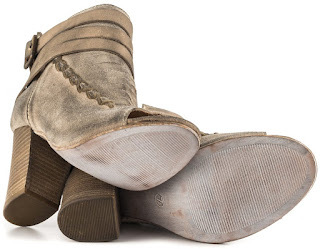 get the In The books for $ 139.99 on www.heels.com while they last.